Working with Andrew Lapthorn has been amazing. We have collaborated really well. He has done ALL the hard work. His craftsmanship is of the highest quality. 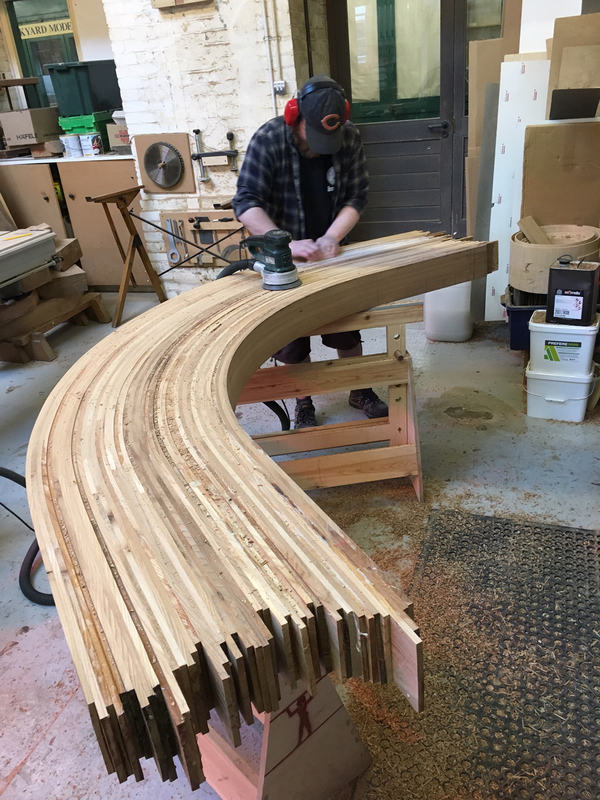 The timber elements he has contributed to the project are artworks in their own right and I can’t wait to see them all installed. I know for a fact that he has been documenting his process throughout the project and that he has some amazing images. I am really hoping to get my hands on them and bask in his reflected glory. He did in fact let a few images slip from his grasp – and they are reproduced here. I showed the image above in the last post, but needed to upload again so you can make sense of the images to follow. 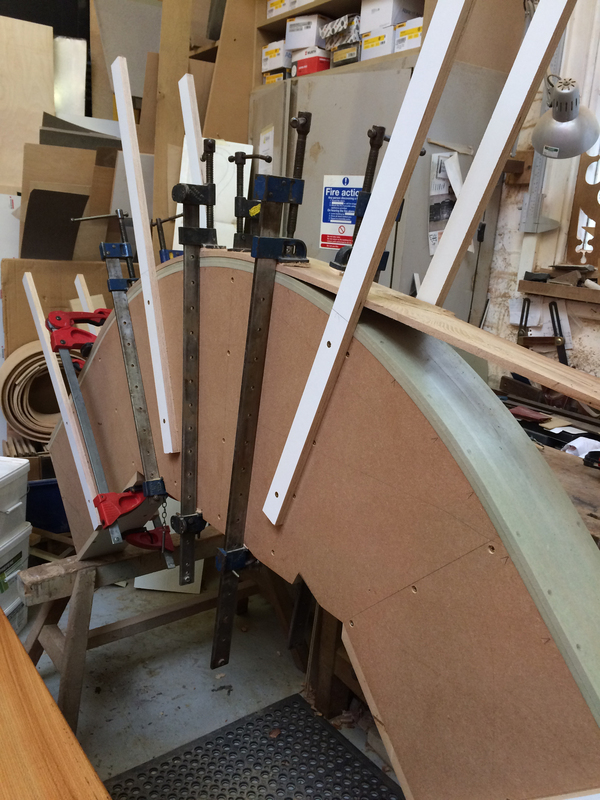 This shows a single plank of elm being bent to shape over the formwork. 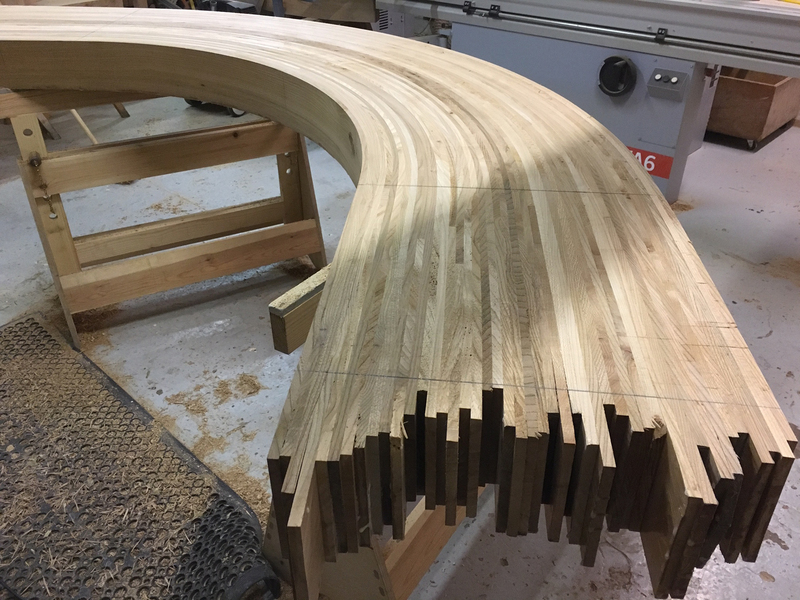 The radius laminate seat involves laminating and bending 45 individual layers of English Elm to create the final work. 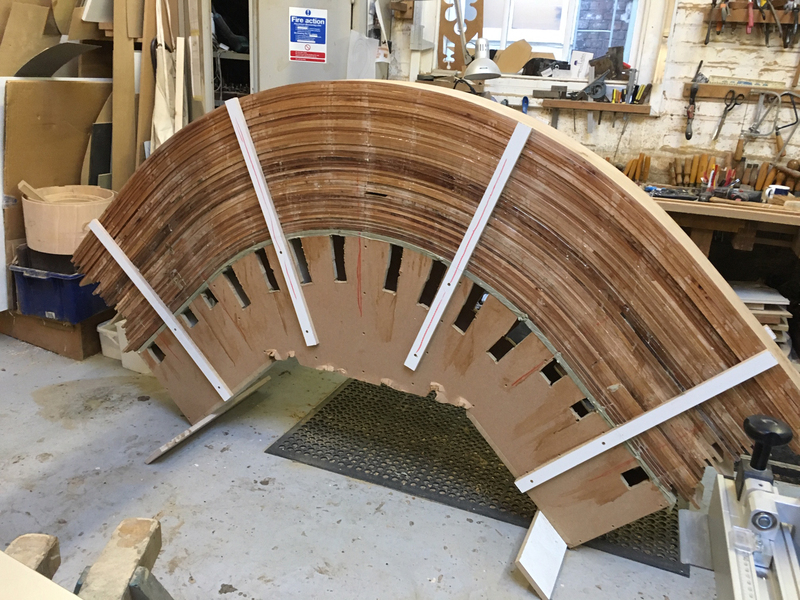 Each layer may contain up to 3 or 4 individual cut planks of timber. 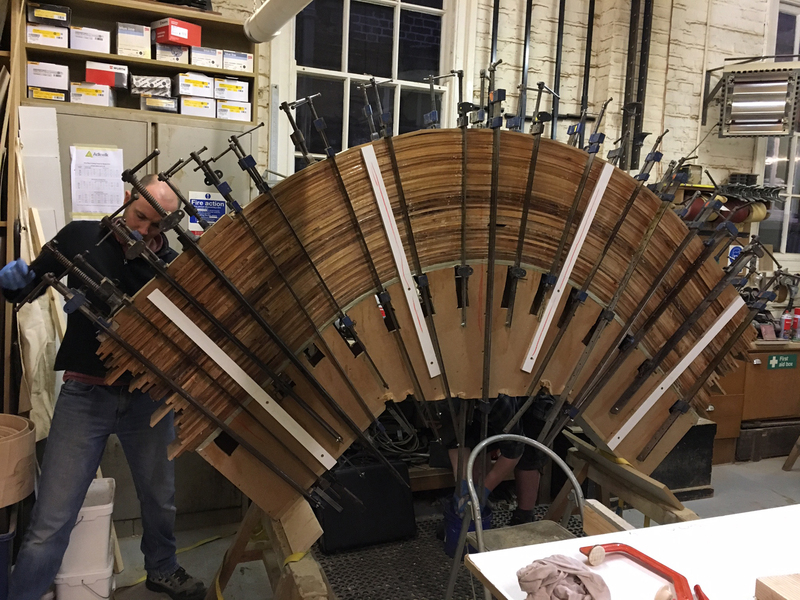 The effect of this is to create not only a robust and highly engineered structure, but a sculptural object with beautiful aesthetics, colour variation and flow.